As part of my radio show, I have a special segment called “Talk Tuesdays” where I sit down and talk with an interesting individual–who is either a lawyer, politician, educator, entrepreneur, or CEO. 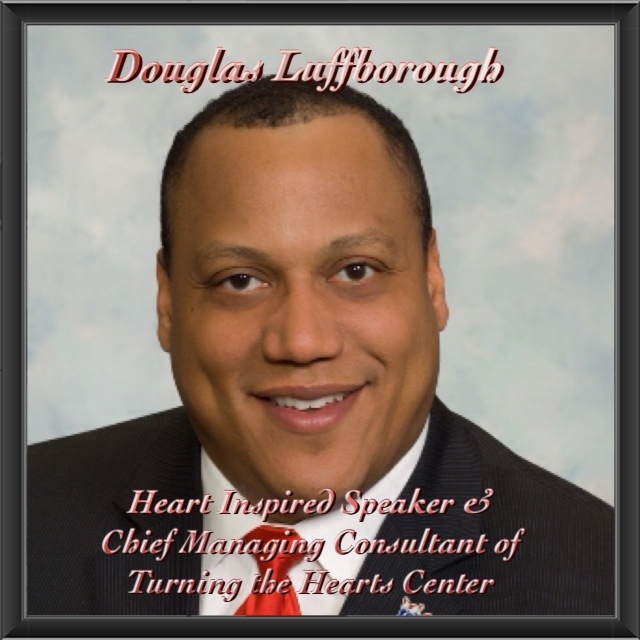 And on this special segment, I invited Mr. Douglas Luffborough III, motivational speaker and Chief Managing Consultant of Turning the Hearts Center, to tell me more about his profession and why he is so committed to turn the hearts of youths and families across the nation. Doug Luffborough, born in Worcester, Massachusetts to a family of four children (him being the eldest), had much of his youth tainted by the absence of his biological father; domestic violence; gang violence; and homelessness. However, it would not be until the love a stranger, the support of two women, and the faith of God, that he would reach for the stars and obtain a graduate education from Harvard University. In our interview, he tells me first hand how difficult it was to overcome the many obstacles that tainted his life including homelessness–and how he used his involvement in gangs to support his mother and younger siblings. But what brought him back to life, and essentially achieved his dreams of obtaining a college degree, was the encouraging words of one career counselor–and how she told him that he was “college material.” From that point on, he did not only obtain a college degree from Northeastern University, but a positive recommendation letter from the former President of the United States Bill Clinton–who commended him on his keynote speech on graduation day. Today, Doug lives in Chula Vista, Ca where he is happily married to his wife Claire and is the proud father of five children. Doug is currently earning his Ph.D in Leadership Studies at the University of San Diego and sits on the School Board of Trustees at Chula Vista Elementary School District (being the largest in the San Diego County). Doug continues to inspire young individuals and troubled families through his non-profit organization (Turning the Hearts Center) and is working to publish his autobiography this summer. Previous A Fruity Wake Up Call!